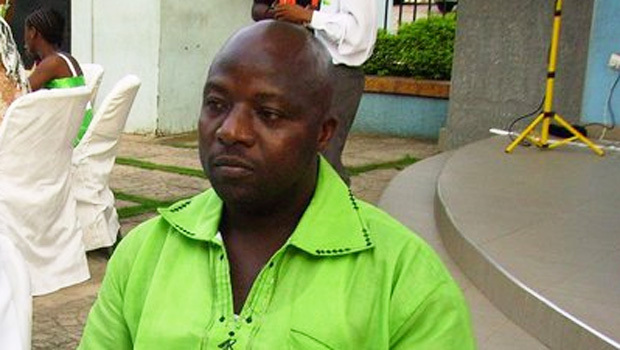 Thomas Eric Duncan, the first person diagnosed with the Ebola virus on U.S. soil, has died, hospital officials confirm. Duncan, 42, was pronounced dead at 7:51 a.m. at Texas Health Presbyterian Hospital Dallas, where he was admitted Sept. 28 and kept in isolation, according to spokesman Wendell Watson. Wendell said the death left officials with "profound sadness and heartfelt disappointment." Duncan became ill after arriving in the Texas city from Liberia on Sept. 20 to visit family, heightening concerns that the world's worst Ebola outbreak on record could spread in the United States. Dr. David Lakey, commissioner of the Texas Department of State Health Services, said in a statement: "The doctors, nurses and staff at Presbyterian provided excellent and compassionate care, but Ebola is a disease that attacks the body in many ways. We'll continue every effort to contain the spread of the virus and protect people from this threat." CBS News chief medical correspondent Dr. Jon LaPook said he believes Duncan won't be the last person to be diagnosed with Ebola on U.S. soil. "We're going to see individual cases [of Ebola] in the U.S. However, that is not the same as an individual outbreak," LaPook said Wednesday. "We need to beef up our ability to follow protocol as cases come into emergency rooms." Duncan carried the deadly virus with him from his home in Liberia, though he showed no signs when he left for the United States. He is believed to have contracted the disease while helping a pregnant woman sick with it. The woman later died. Duncan arrived in Dallas Sept. 20 and fell ill a few days later. The CDC and the Texas Health Department are working on a protocol to handle Duncan's body, since his remains are still infectious. Others in Dallas still are being monitored as health officials try to contain the virus that has ravaged West Africa, with more than 3,400 people reported dead. They also trying to tamp down anxiety among residents frightened of contracting Ebola, though the disease can be spread only through direct contact with the bodily fluids of an already sick person. Health officials have identified 10 people, including seven health workers, who had direct contact with Duncan while he was contagious. Another 38 people also may have come into contact with him. The four people living in the northeast Dallas apartment where Duncan stayed have been isolated in a private residence. The family being isolated has been identified as Louise Troh, her son and two nephews. According to CBS Dallas, Troh is Duncan's girlfriend, whom he had reportedly come to the United States to marry. Duncan was also reportedly hoping to reunite with his 19-year-old son, Kasiah Duncan, who is attending Angelo State University in Texas, reports the Fort Worth Star-Telegram. Everyone who potentially had contact with Duncan will be monitored for 21 days, the normal incubation period for the disease. Duncan passed an airport health screening in Liberia, where doctors took his temperature and found no other signs of Ebola symptoms. But a few days after he arrived, he began to have a fever, headache and abdominal pain. He went to the emergency room of Texas Health Presbyterian in Dallas on Sept. 24, but was sent home. By Sept. 27, his condition had worsened. An ambulance that day took him back to the hospital, where he stayed in isolation. While trying to reassure the public that the chances of an Ebola outbreak in the U.S. were low, President Obama said Monday that Duncan's case -- in which he began exhibiting symptoms of disease after arriving in Dallas -- shows how vigilant U.S. health workers must be. "We have learned some lessons...in terms of what happened in Dallas. We don't have a lot of margin for error. The procedures and protocols that are put in place must be followed," the president said. The hospital has changed its explanation several times about when Duncan arrived and what he said about his travel history. It has acknowledged that Duncan told them on his first visit that he came from West Africa. Of the six Ebola patients treated so far in the U.S., Duncan was the only one not cared for in one of the special hospital units set up to deal with highly dangerous germs. That's because health officials knew the others had Ebola at the time they decided where the patients should go, whereas Duncan sought care at the Texas hospital on his own. Health officials also have said that any hospital with isolation capabilities can treat Ebola patients, but Duncan's death is sure to renew attention on the Texas hospital's response, especially missing the chance to treat him sooner, when he first sought care. There is no way to know whether any specific treatment or step might have saved his life, just as whether any experimental drug he did or did not receive helped. He was getting advanced care - dialysis to treat kidney failure, a breathing machine and an experimental antiviral drug - when he died. On Monday, doctors had announced that they had begun treating Duncan with brincidofovir, an investigational medication in late-stage testing for other types of viruses. Ashoka Mukpo, a freelance video journalist who contracted Ebola while on assignment in West Africa, is also receiving the drug while being treated by doctors at a hospital in Omaha. Brincidofovir is an oral antiviral drug being tested to fight more common viruses, including one that infects patients undergoing bone marrow transplants. Laboratory tests suggested it might also fight Ebola. Brincidofovir is made by North Carolina-based Chimerix Inc., which said physicians sought federal permission to use the drug. The company did not identify the physicians making the request. The Dallas County medical examiner's office will not be receiving Duncan's body, but investigator Steven Kurtz said he did not know Wednesday what the alternate arrangements would be. The Centers for Disease Control recommends that bodies of Ebola victims not be embalmed and instead suggests they be cremated or promptly buried in a hermetically sealed casket.